Homes for Sale The Heights - Search homes for sale in The Heights. 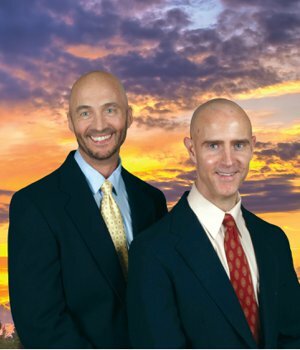 See all MLS Real Estate and homes for sale in Heights, Jupiter FL. Community info. 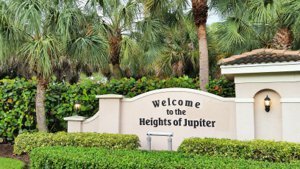 North Palm Beach Heights, or as its residents call it, simply The Heights, is a Jupiter neighborhood bursting with family-friendly amenities and has no mandatory HOA fees. Located on the northern edge of Palm Beach County and to the west of Abacoa, the community also has quick access to I-95. It is easy to travel and commute from The Heights, making it an ideal choice for workers. The proximity of Jupiter’s top-rated schools also make The Heights a perfect neighborhood for families. The Heights real estate is made up of nearly 1,500 single-family homes. Construction began in the 1980s and some homes were completed in the early 2000s. Homes range in size from a smaller 1,000 square feet up to a spacious 3,000 square feet. This allows you to choose a space that fits your needs and budget. Many of the homes were updated and remodeled in the early 2000s to enhance their stunning features. North Palm Beach Heights offers plenty of recreational amenities to benefit everyone, including a playground, basketball and tennis courts, and trails for biking and jogging. A major draw for residents is that there is no homeowner association and therefore no associated fees. There is, however, a dedicated volunteer group that distributes a monthly newsletter to keep everyone informed. The Heights has a real sense of community, and there are festivals and activities hosted throughout the year for all ages to enjoy. 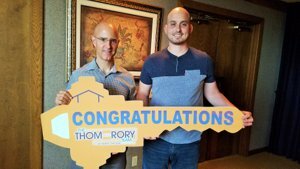 call the North Palm Beach Heights Experts, Thom and Rory. The Heights’ convenient location lets residents experience the abundance of dining, shopping, and recreation that Jupiter offers. For instance, weekly Farmers’ Markets sell local produce. The nearby Florida State University hosts art festivals, concerts, fireworks, and more to entertain the community. Jupiter’s newest attraction is Harbourside, located on the Riverwalk just a short drive away. There are a number of restaurants that serve cuisines including Mexican, Italian, and American. A variety of boutiques let budding fashionistas find the latest trends and jewelry. Harbourside also has an amphitheater for fun events like concerts. The Riverwalk plans to extend its attractions along the Inlet District to serve even more residents. Of course, the proximity of Jupiter’s gorgeous beaches make it easy to spend time fishing, boating, or swimming under the Florida sun. To relax indoors, try the new Cinepolis, a luxury movie theater concept. Located across the Jupiter Riverwalk, the plush seating and upscale concessions menu make watching a movie a stylish event. Get more Jupiter Area Information Here. Residents of The Heights are served by the School District of Palm Beach County. The schools in this area include many A-ranked programs, including Jupiter High. For alternative education, private schools are also available. The excellent schools make The Heights a great community for families. 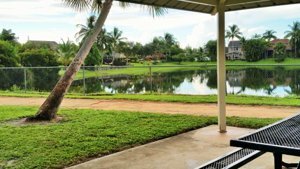 See all homes in North Palm Beach Heights Community currently available below. HOMES IN THE NORTH PALM BEACH HEIGHTS COMMUNITY WILL GO QUICKLY WHEN PRICED WELL. BE SURE TO GET ON OUR ADVANCED NOTICE LIST TO RECEIVE IMMEDIATE NOTICE OF THE LATEST LISTINGS PRIOR TO OR WHEN FIRST PRESENTED ON THE MARKET IN THE MLS. Call: 561-741-9666 or Text: 772-349-8466. North Palm Beach Heights Bldg.